Happy Monday everyone! I hope you have all had a great weekend. We have had a very eventual week last week (well really it's been the last few weeks). Without going into boring details, life has gone from busy to being crazy hectic and stressful for me but I will get there. Nothing like a good challenge to keep you entertained right? Anyway enough about that. 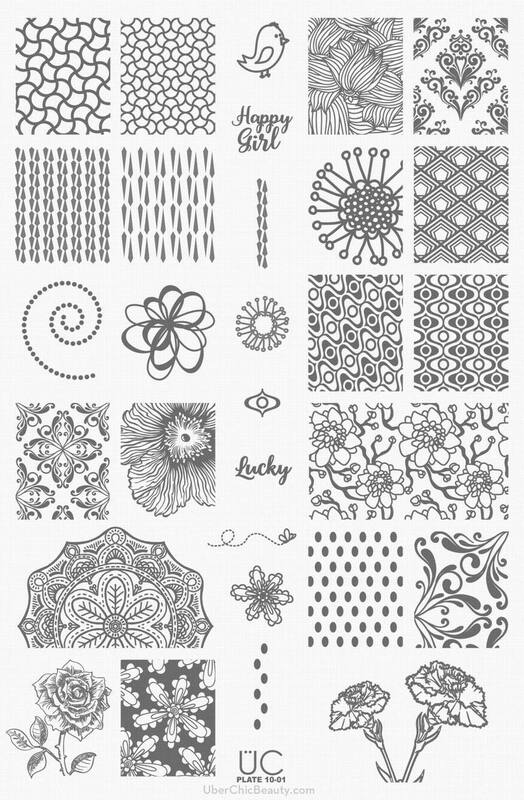 Today I have Uberchic's Collection Ten stamping plates to share with you. Yes this have been around for a while and I am sure you have already seen them but it never hurts to see them again. 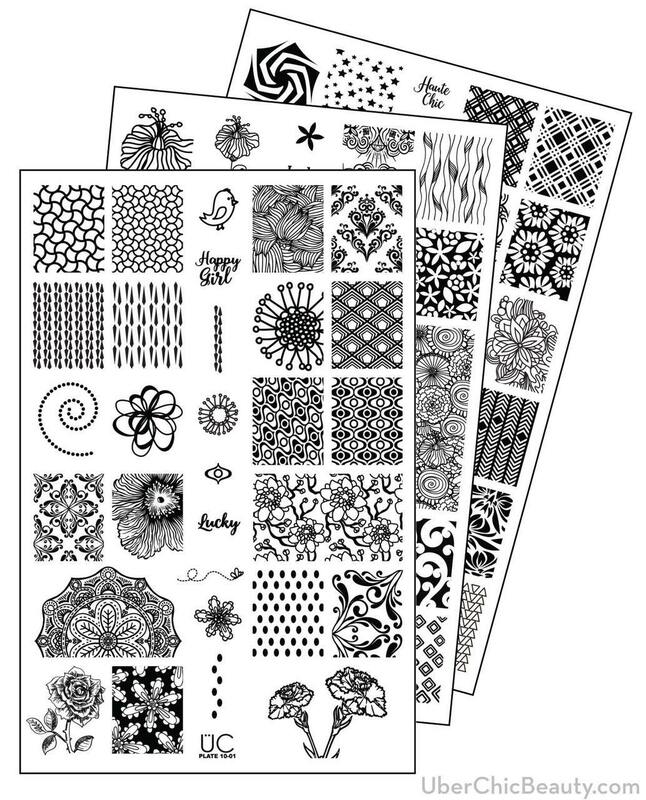 Now if you have been following my blog for a while now then you will know that I am a big fan of Uberchic's stamping plates. Collection Ten are no exception. 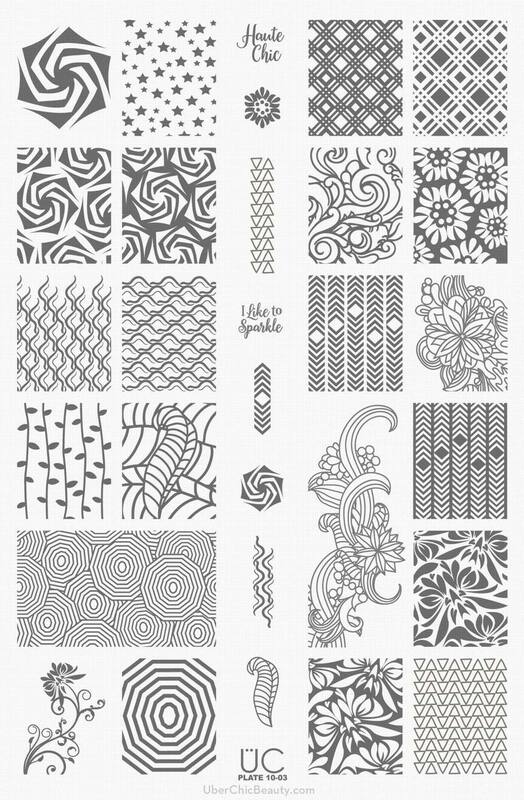 There are some great designs and I haven't had any issues picking up the images or transferring them. 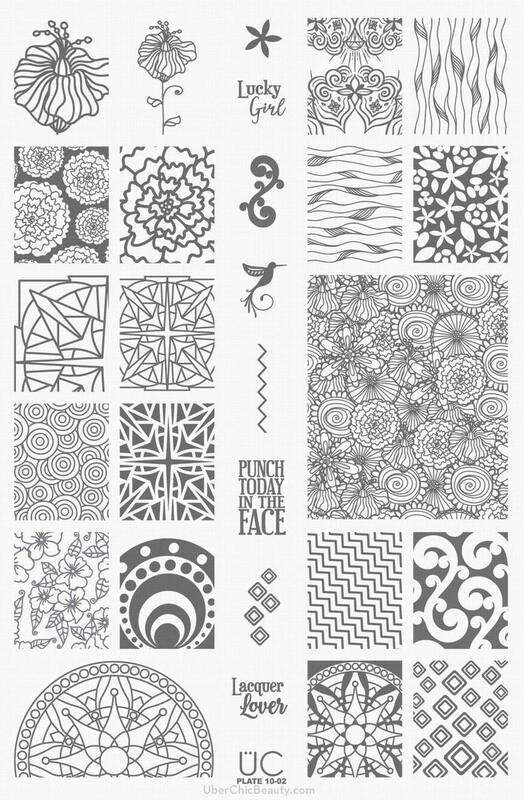 Collection Ten stamping plates are available now from Uberchic Beauty. Have you grabbed this collection yet? Remember how I kept mentioning that I had so many new things that I was dying to play with but I needed to wait for my finger to heal? Well today I can finally show you one of the new collections that I have. 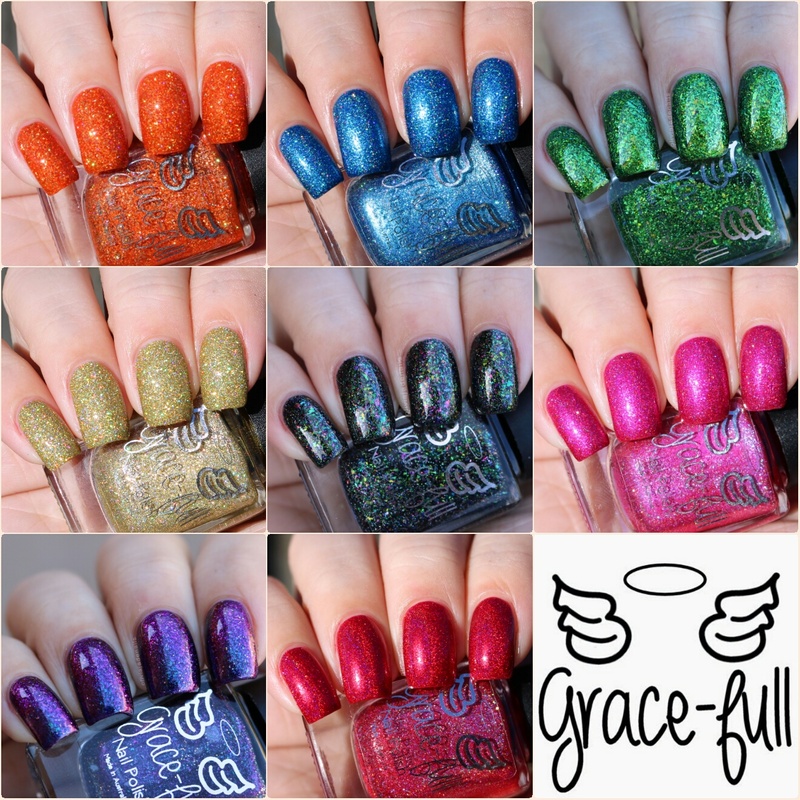 Today I have eight sparkly polishes that make up Grace-full Nail Polish's Rainbow Sparkler Collection. Now as a heads up this post is going to be quite picture heavy so I will keep the chatting to a minimum. 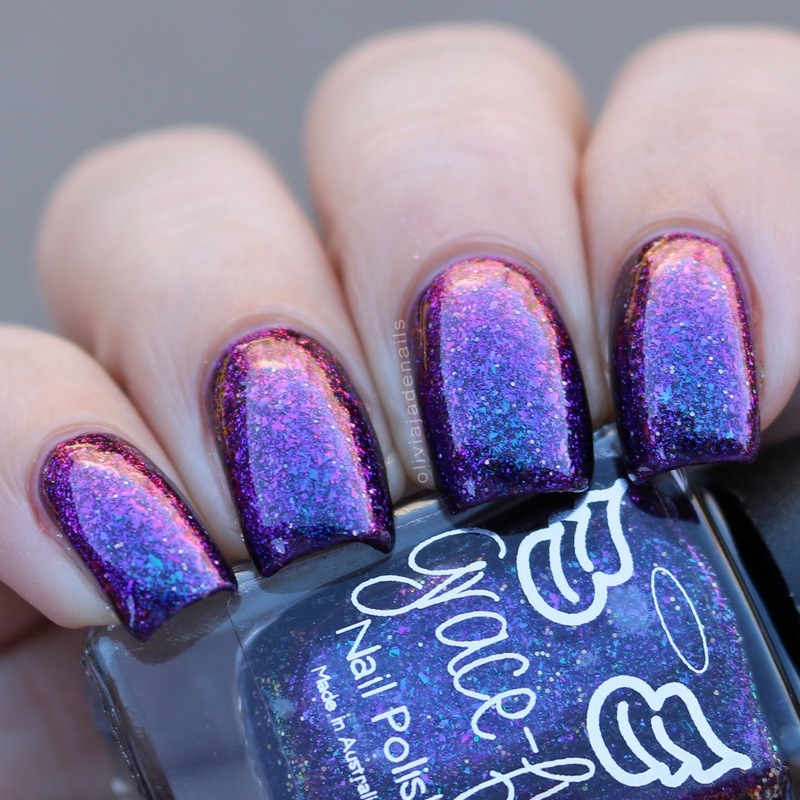 Evening Dreams has a purple base and ultra-chameleon chrome flakes in a purple-blue-pink-gold. This one has a multichrome look and the colour changes from navy blue to purple to pink and has a sprinkling of holo microglitter. 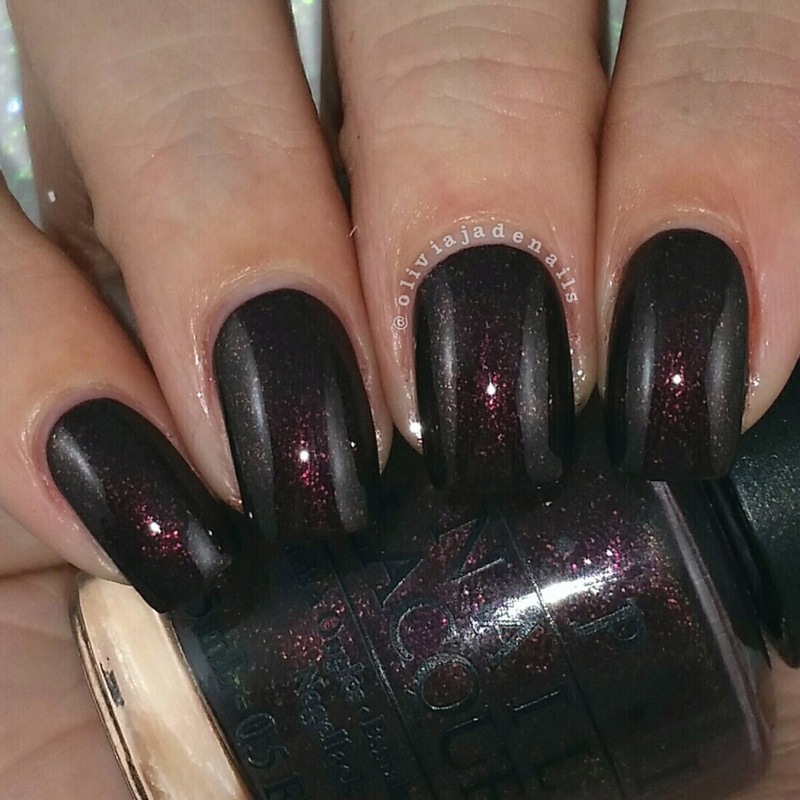 The colour shift in this one is gorgeous and the formula is fantastic. My swatch shows two coats. 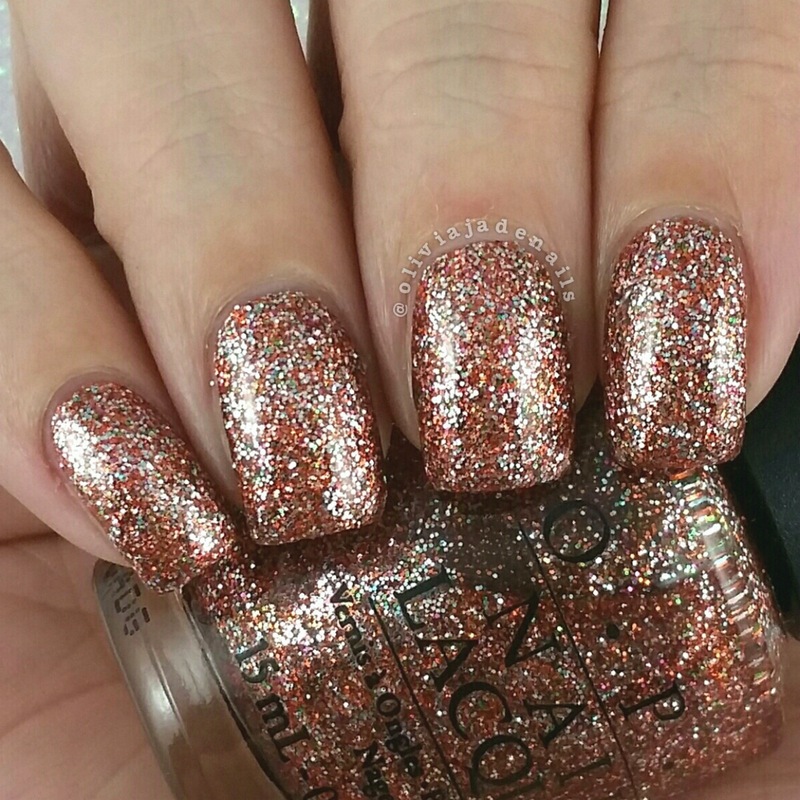 Eye Searing is a bright orange jelly with super holographic gold microglitter and orange holo microglitter. The formula is really easy to use and builds up nicely for a jelly. I used two coats for my swatch (although I should point out that is was slightly see through at the tips in direct light). 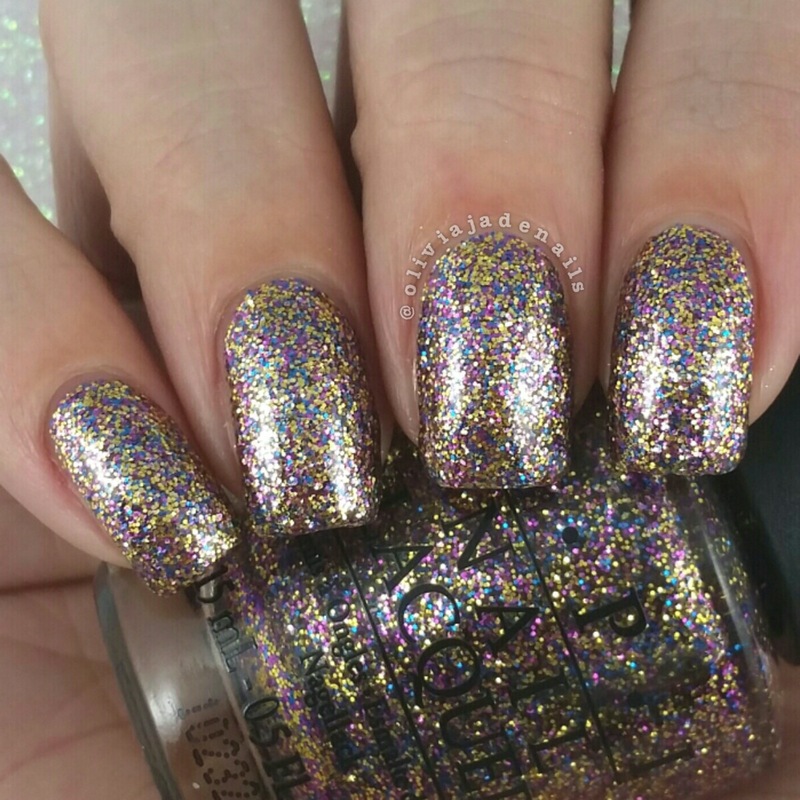 Girly Madness is a bright pink linear holo with a sprinkle of silver holo microglitter. 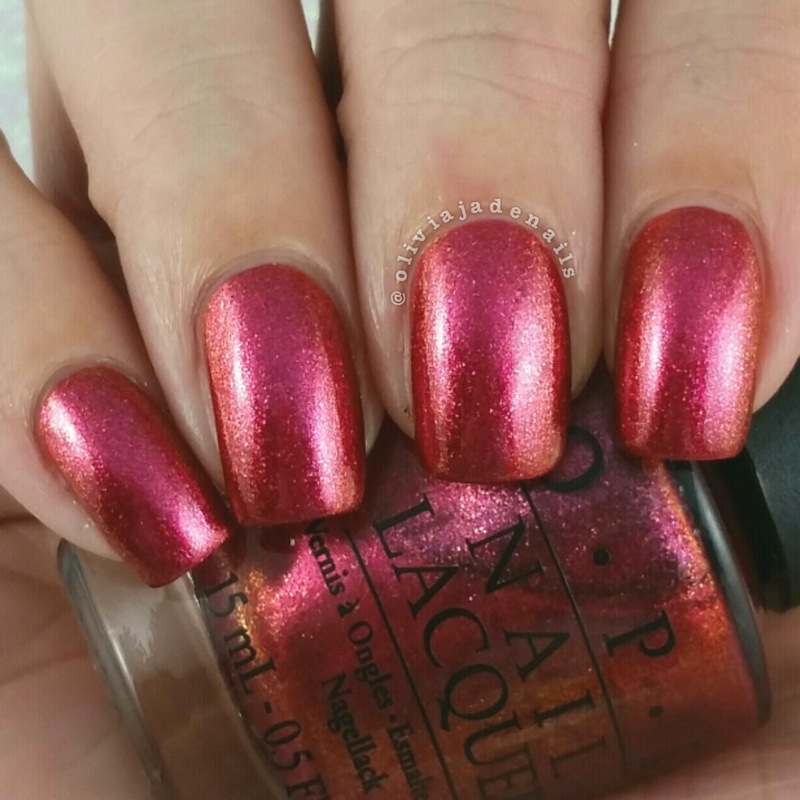 Really pretty colour and a great formula. I used two coats for my swatch. Lazy Afternoon has a bright green base with ultra-chameleon chrome flakies in lime-gold-blue and a sprinkling of holo microglitter. This one does apply unevenly on the first coat, however evens out on the second coat. My swatch shows three coats. 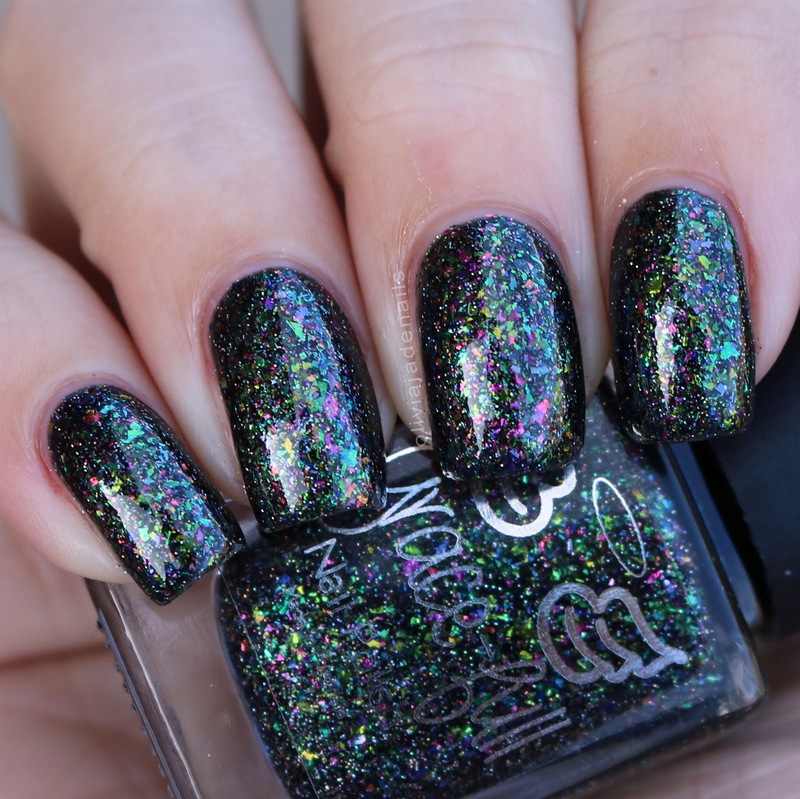 Rainbow Explosion has a black base and is packed with colourful ultra-chameleon chrome flakies and silver holo microglitter. I really like this one. So many colours! 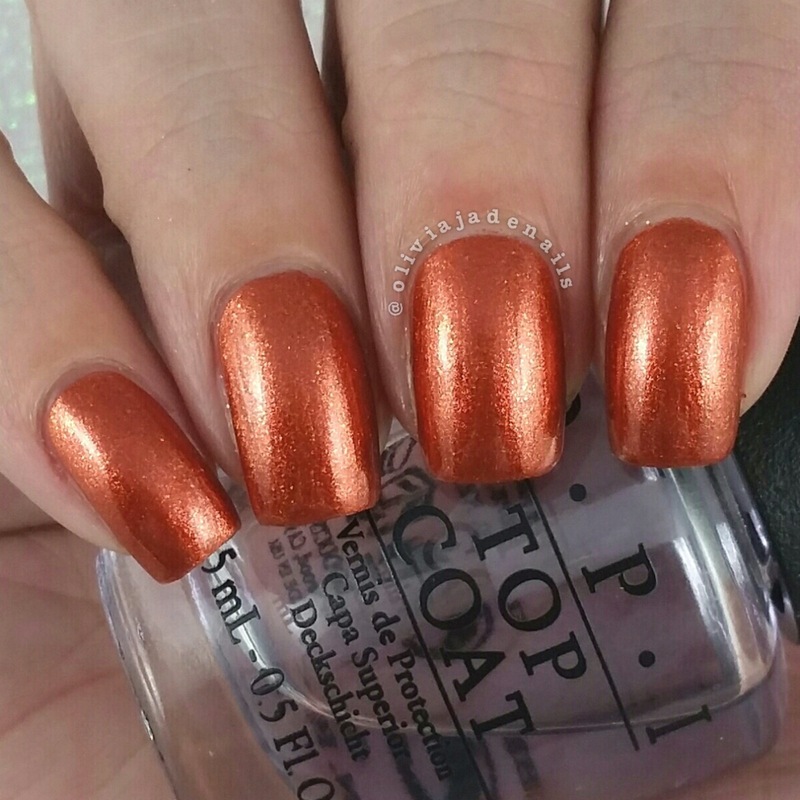 The formula is great and is opaque in three coats. 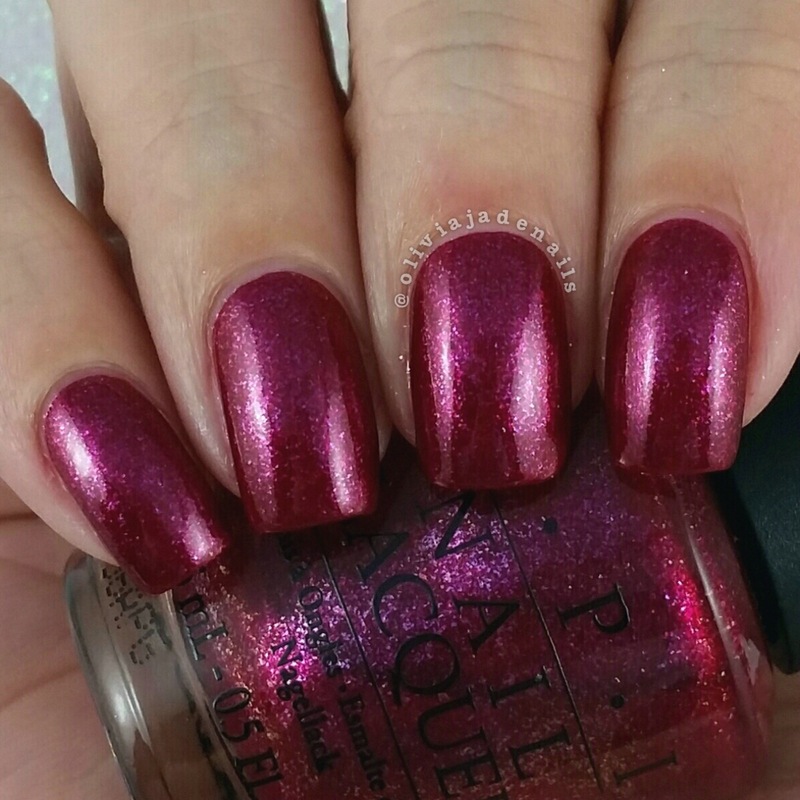 Scarlett Sparkles is a rich red linear holo with a sprinkle of red and silver microglitter. This formula is fantastic and applies really evenly. I used two coats for my swatch. 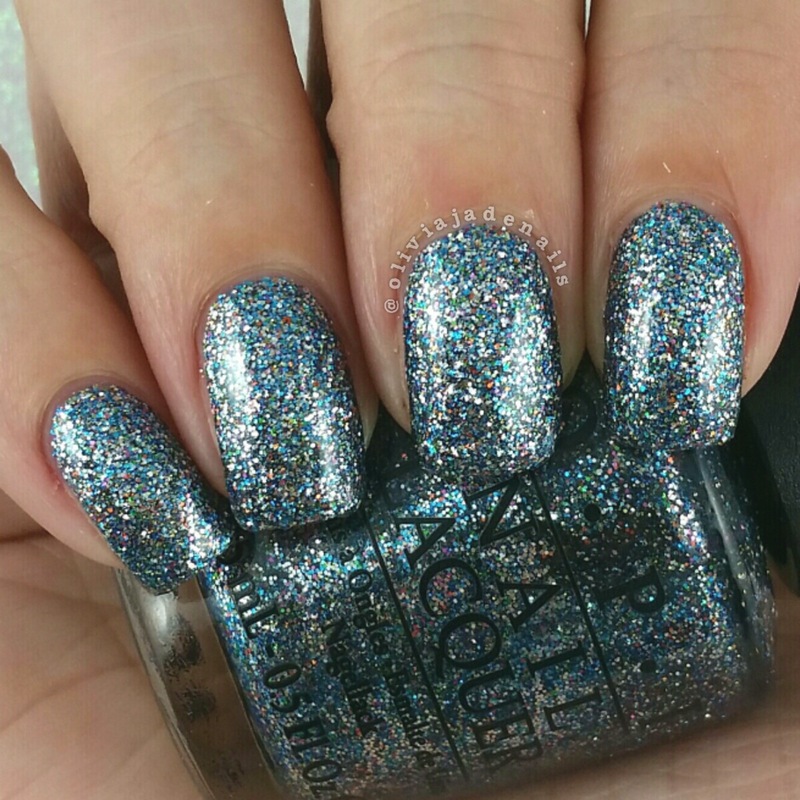 Seaside Gazing is a royal blue linear holo with a sprinkling of blue and silver holo microglitter. Such a pretty blue and the formula is great. I used two coats for my swatch. 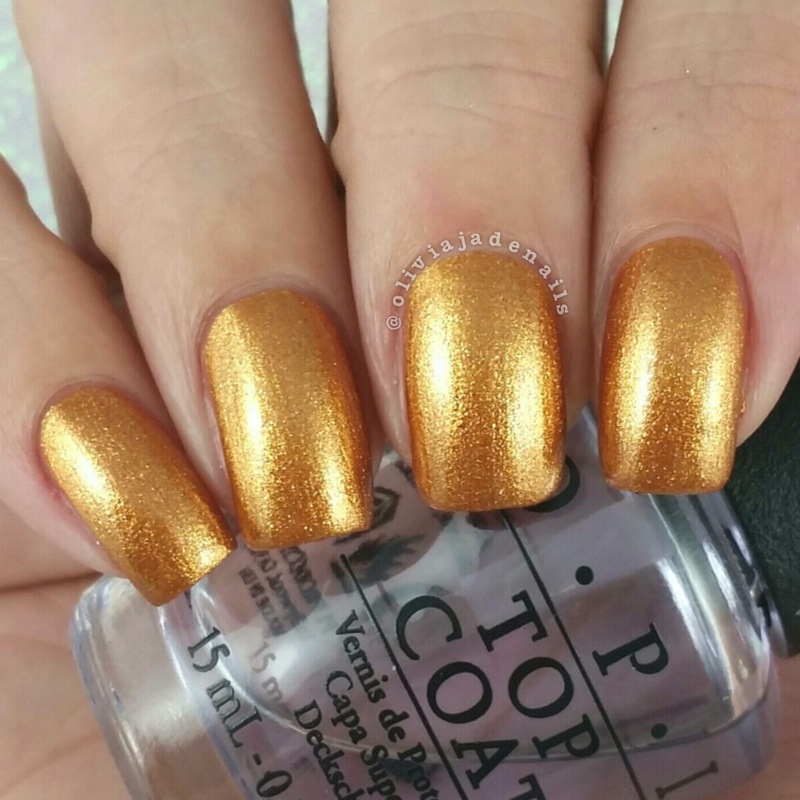 Sunshine Naps is a holo microglitter with three shades of gold microglitter and a sprinkling of silver holo microglitter in a yellow base. The formula is easy to use. I used three coats for my swatch. Such a sparkly collection. My personal favorites are Rainbow Explosion, Evening Dreams, Girly Madness and Seaside Gazing. Scarlet Sparkles, Seaside Gazing and Girly Madness are all limited edition so I would recommend grabbing those ones if you are interested. Nothing worse than waiting to buy a polish and then having it disappear before you get to grab it. 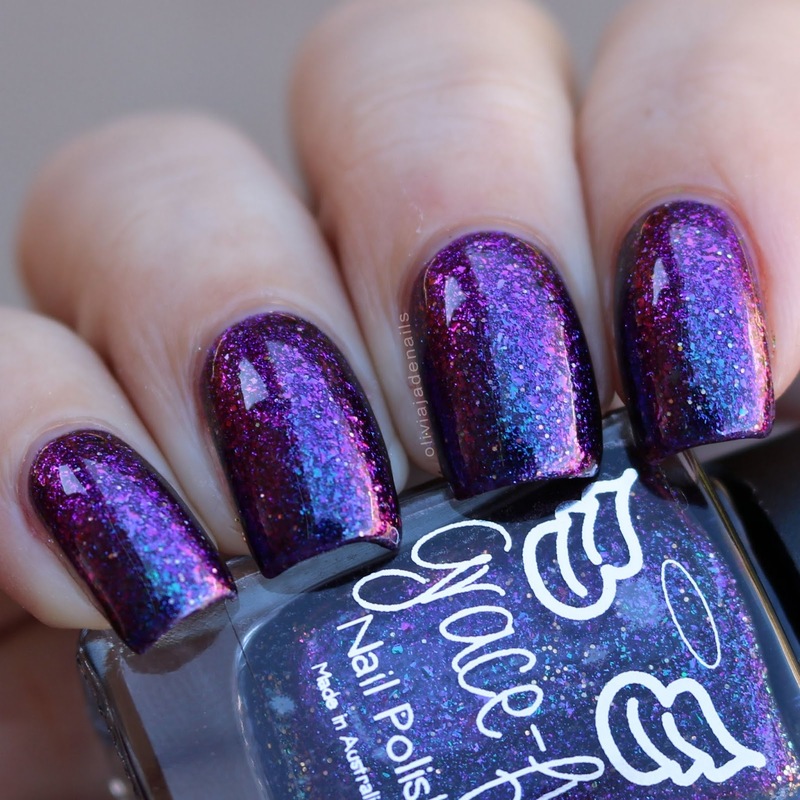 The Rainbow Sparklers Collection will be available from Grace-full Nail Polish's Australian site on Saturday 23rd July at 10am AEST and on the international site on Friday 22nd July at 7pm CST. Today I have a nice little post for you. 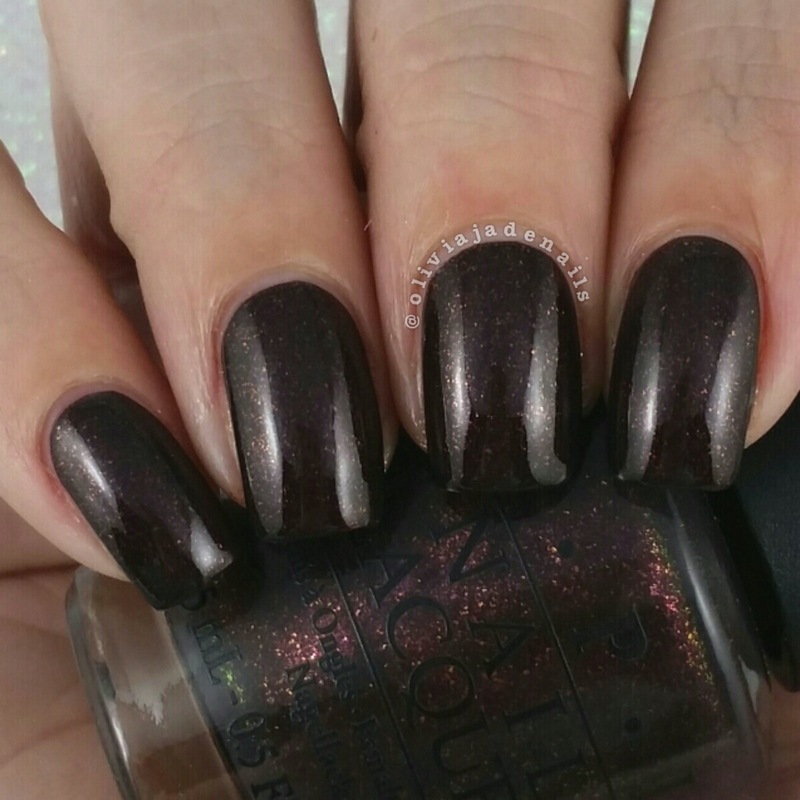 I have two new polishes from Dance Legend's Military Collection to share with you. This collection features twelve polishes in a mix of creme and shimmer finishes. Both of the polishes I have are cremes and the formulas are awesome. They apply like a dream and you could nearly get away with only one coat. Battlefield is a grey-purple creme. Absolutely stunning. 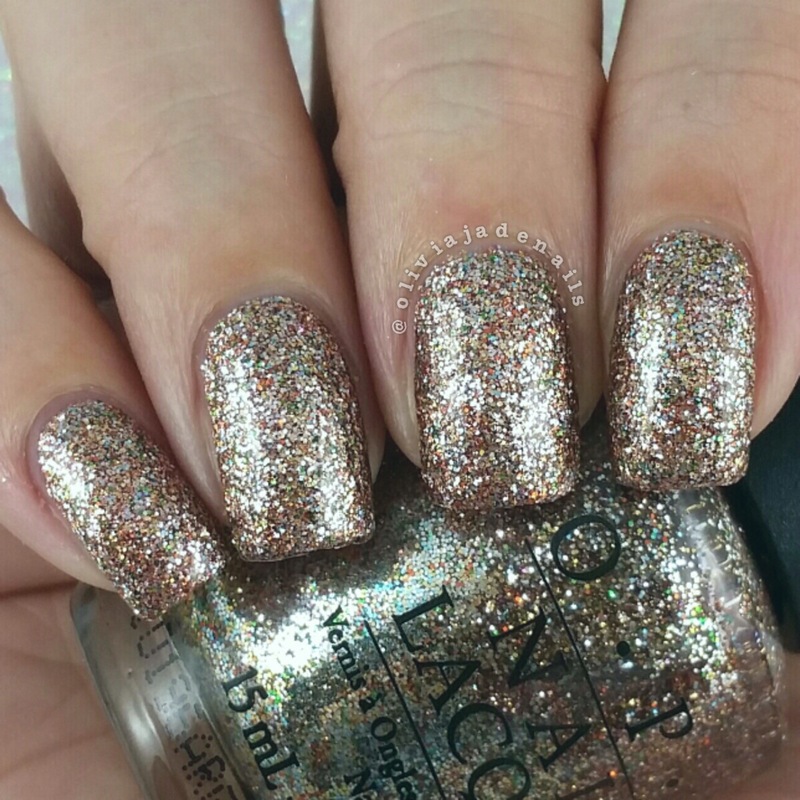 I actually swatched this and then have worn it as a full mani for a couple of days. I'm actually still wearing it as I type this post. My swatch shows two coats. Call Of Duty is a blue-grey creme. This is quite an interesting colour. I used two coats for my swatch. The Military Collection is available from Dance Legend (with international shipping). Today we are taking a little trip down memory lane - all the way back to December 2010 in fact. My best friend and I were having a shopping day when I randomly decided that I wanted to go into David Jones and purchase my very first OPIs. I stood in front of all the polishes and was so overwhelmed with the choice of colours and finishes that I really had no clue what to get. Then I found a nice little display with the gift sets and thought that was the best place to start. I ended up grabbing a full sized duo pack (Show It And Glow It! and Let Me Entertain You) and a cute little Burlesque mini pack. I had no clue at the time that these polishes were from the same collection (and that mini polishes are a pain to use). Anyway, I wore all the polishes and fell deeply in love with OPI. And that my friends is where the polish obsession started! Today I thought it was about time I shared with you my swatches of this collection (plus it was also requested by the lovely Christy). I don't think it's fair for me to "review" these polishes how I normally would. I mean these polishes are six years old, and there are a few minis. That being said, I haven't had any issues with the formulas (although Show It And Glow It! has dried up a fair bit so needed some thinning. Ali's Big Break. This one is definitely prettier in person, but it's not a "me" colour so I never got around to purchasing the full size. I used two coats for my swatch. Bring On The Bling. Talk about bling! This is so sparkly. I used three coats for my swatch. Extra-va-vaganza! 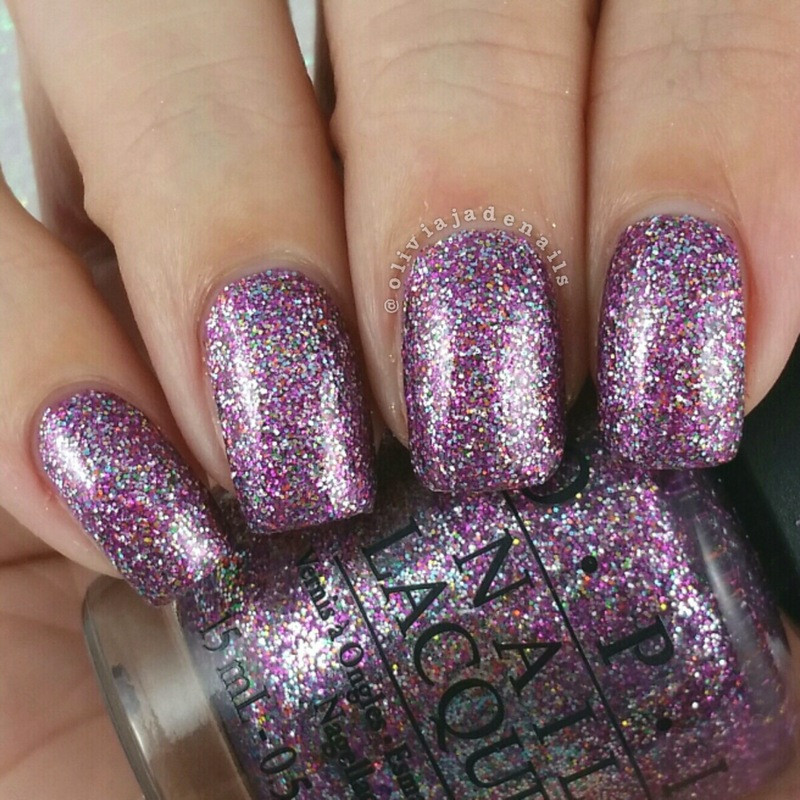 Another super sparkly polish. I used three coats for my swatch. Glow Up Already! The formula of this one is getting a little thick but it was still easy to use. My swatch shows two coats. Let Me Entertain You. This is seriously gorgeous. It's no wonder it was one of the first ones I grabbed. 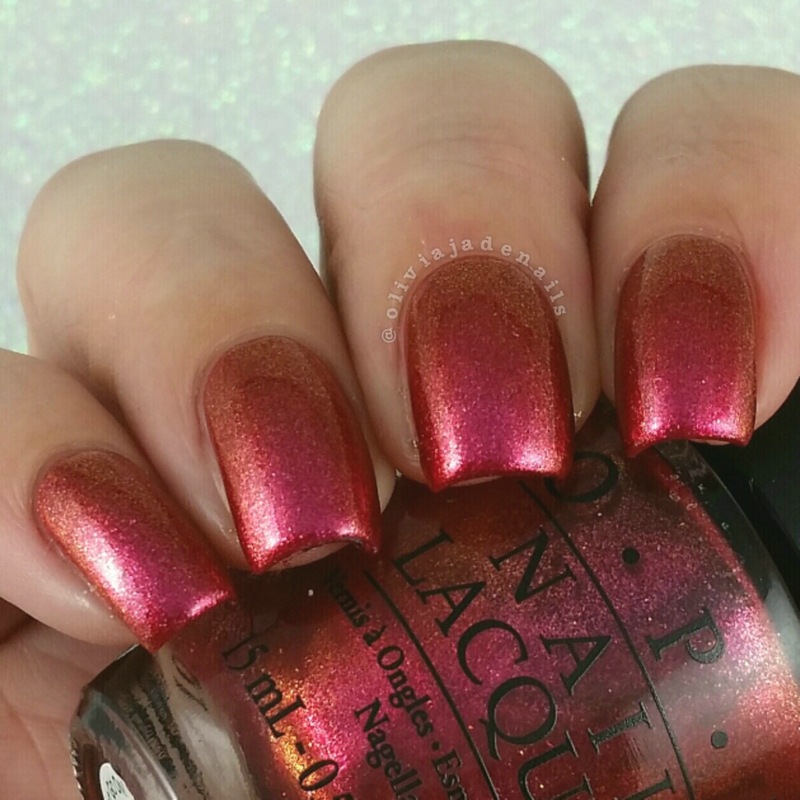 Actually if my memory serves me correctly this was actually the first OPI I ever wore! I still love it to this day. My swatch shows three coats. Rising Star. This one again isn't really a "me" polish either so I only have the mini version. I believe I have actually featured it in some nail art on Instagram before. I used two coats for my swatch. Show It And Glow It! Now this was another love at first sight. Clearly I have had a thing for pink and purple polishes for quite sometime. Sadly, this baby is on it's last legs (although I will never get rid of it). I used two coats for my swatch. Simmer & Shimmer. 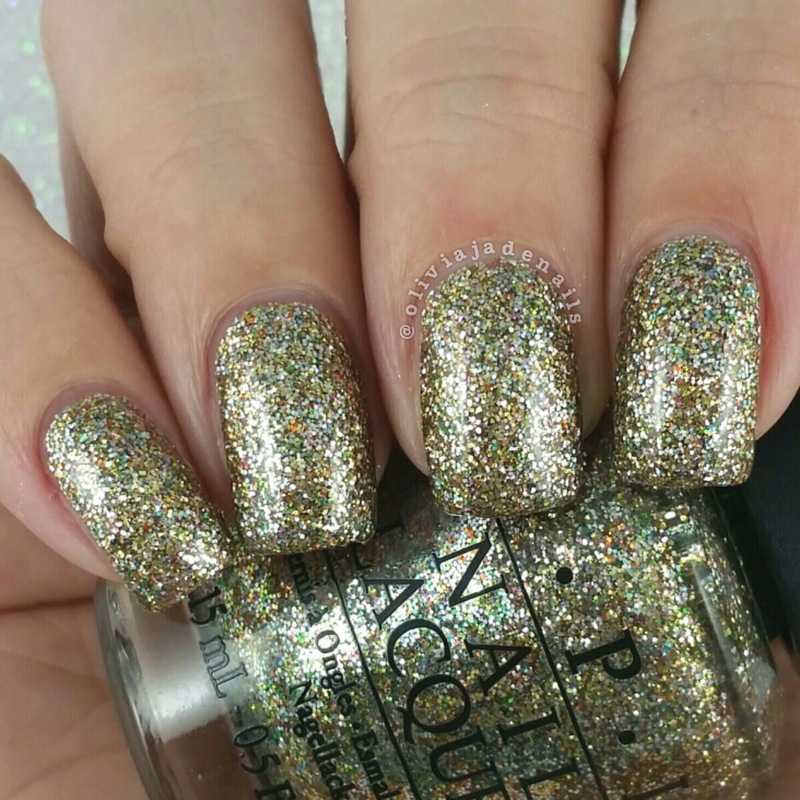 Have I mentioned I love the glitter polishes in this collection? My swatch shows two coats. Sparkle-icious. This is another one of my absolute favorites from this collection. It's just so pretty. My swatch shows three coats. Take The Stage. This is another one that isn't really a me colour. I used two coats for my swatch. Tease-y Does It. This is such a gorgeous winter colour. I wish I had better lighting so you can see the shimmer in this one. My swatch shows two coats. The Show Must Go On! This is absolutely gorgeous. This colour shift is so beautiful. This is definitely one that you need to see in person. My pictures don't do it justice. My swatch shows three coats. 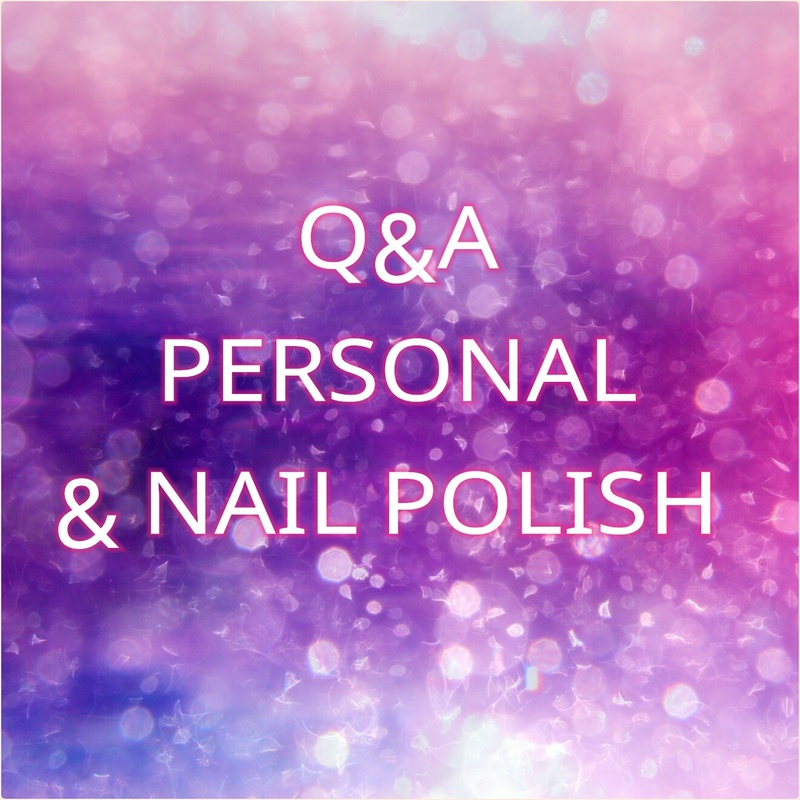 So tell me, what was the first polish or polish collection that kick started your polish obsession? Do you still have it? Where does the name "Olivia Jade" come from? For those of you who don't know my name is Tracy, my daughter's name is Olivia. I was late to the Instagram party and all the usual names I would use were already taken. So I stole my daughter's name. I have no intentions of ever actually posting anything and then three plus years later here I am. Yes. I have been fortunate enough to being able to stay home with my baby for four nearly five years now. I plan on returning to some form of work next year when Olivia starts school. What will I be doing? Well that really is a billion dollar question. I still have zero clue what I want to do when I grow up. How many polishes do you have in your collection? At this exact moment in time I have just under 2600. Do you ever feel you have too much polish? I have felt I have "too much" polish about five times now. The first time was when I spend days bubble wrapping all my polishes to move from Melbourne to Queensland. The second time was when I had to unwrap all of the polishes. Third and forth time was wrapping and unwrapping them all to move from Queensland back to Melbourne. And the fifth time was just before I did my destash. I really didn't want to have to buy another set of drawers so I cleared out about 500 polishes. How do you store your polishes/nail art supplies? 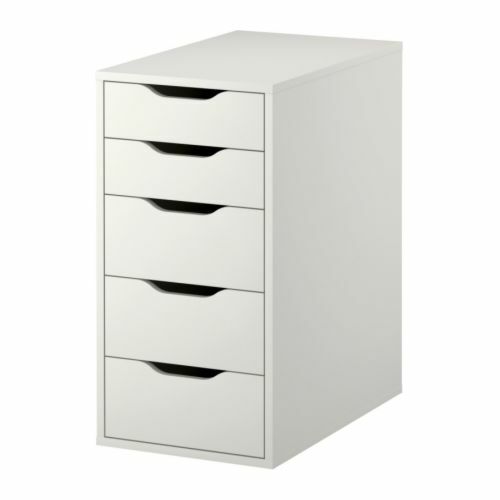 The bulk of my polishes live in six Alex drawers that I purchased from Ikea. I do have back up polishes that live in a separate box in my polish room. I store all my stamping plates in various folders and all of my other nail art supplies (studs, foils, loose glitter) live in two stationary drawers. I will do a more detailed post about my storage at some point and will also include my lighting set up. 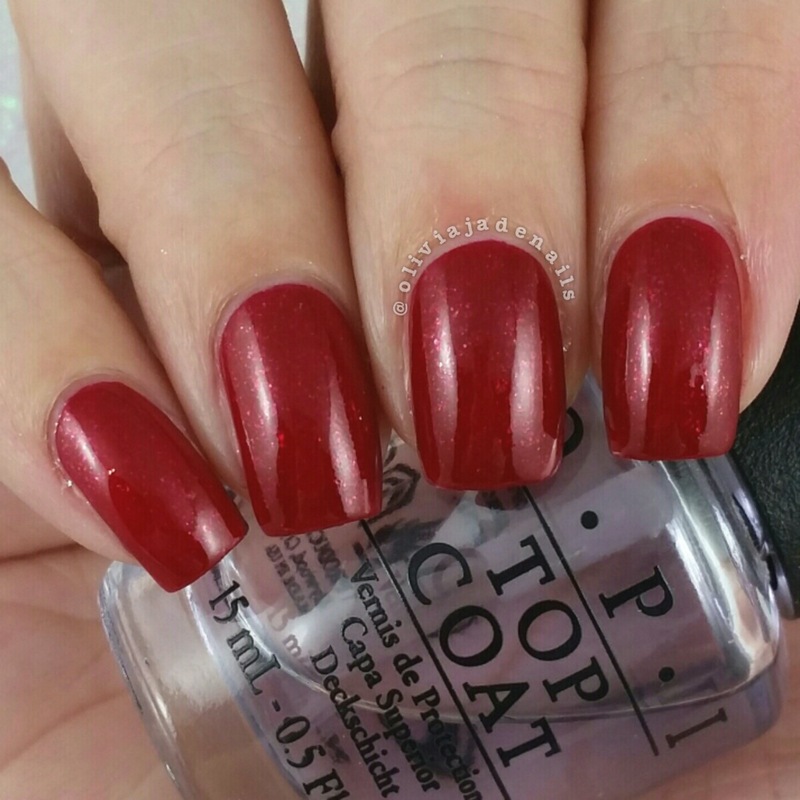 Favorite top coat & base coat? My favorite top coat is hands down Seche Vite. I go through that stuff like there is no tomorrow. I can't even tell you how many of those large refill bottles I have gone through over the years. For matte top coat I have been using either the OPI or Essie ones. My go to base coat is Revlon ColorStay Gel-Smooth Base Coat. Sadly this was discontinued a couple of years ago. I literally spent a day going from store to store buying out all of the base coats I could find. I still have about five bottles left so will soon be on the hunt for a new base coat. Any recommendations? Base and top coats, nail polish thinner (I use Seche Restore), cuticle remover (I use the Blue Cross one), nail files and cuticle oils. I also think white and black nail polishes (both regular and stamping) are awesome to have. They are my most used polishes - particularly white polish (my go to is OPI Alpine Snow). I don't really have a particular favorite plate or image. There are just so many awesome ones out there. As for style I definitely prefer a full nail design over an individual image. I don't mind the buffet style plates but sometimes I find them a little overwhelming so skip over them a bit. Videos, videos, videos! In all honesty, I am not sure what sort of videos I could do that aren't already out there. Most of the nail videos you see on accounts these days are the exact video with different polishes (eg, a gradient with stamping over the top). I do have a camera now that I am able to do videos on, I just need the time to film, learn to edit and then the time to actually edit videos. If people are wanting videos from me then I am happy to really look into it. Just let me know what kinds of videos you would like. Hopefully, I answered all of your questions. If not, feel free to ask more. I am happy to answer questions at any time.